Judean Desert off road trip and barbecue meal at Ha’Cnaanit chef restaurant is a excellent way to explore the desert, to cross dry river beds, ancient water caves and enjoy unique observation points. A barbecue dinner nearby is a wonderful ending to a day full of adventures. 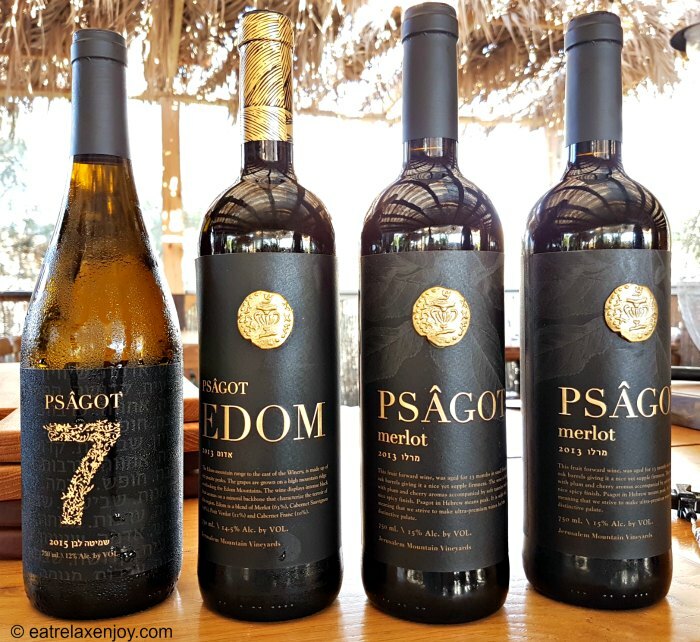 Our day started with a visit to Psagot Winery. We continued to an off road tour of Judean Desert and Mountains in self-driving of Tomcars. We ‘tasted’ a bit of driving of that small, yet strong and steady vehicle. We drove on unpaved roads, launching the desert dusk into the hot air while looking at Jerusalem from the east. 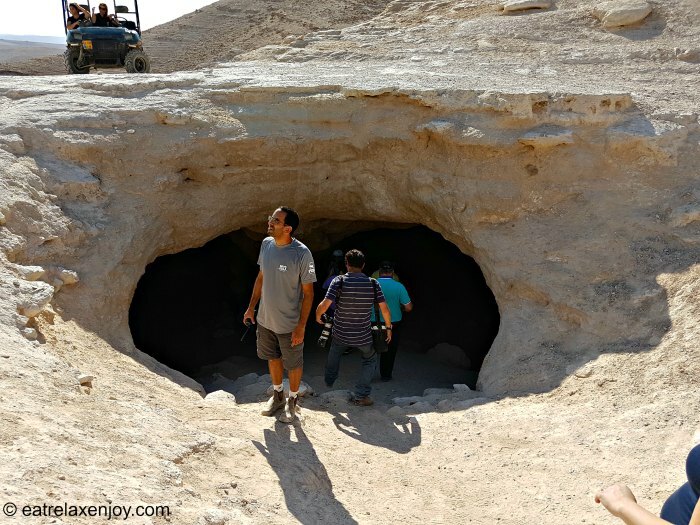 We stopped to see ancient water caves, drank local coffee and tea with Tahini cookies in the desert, and hurried back for the Chef’s barbecue at Ha’Cnaanit kosher restaurant. A very busy and enjoyable day! 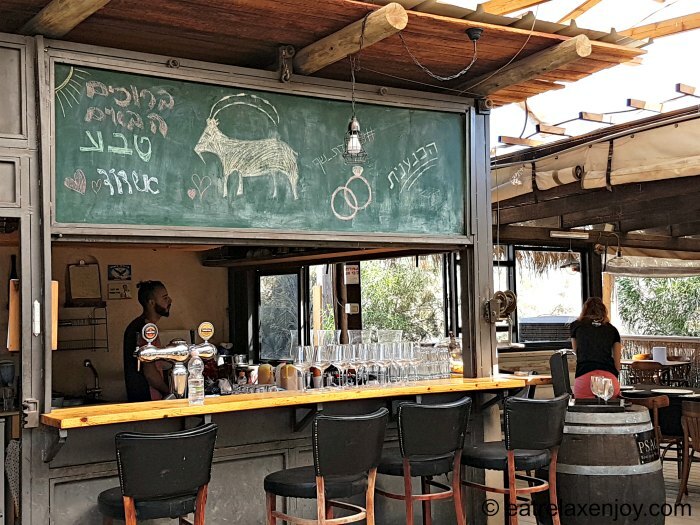 We met at the fuel station Kfar Adumim at the Ha’Cnaanit restaurant; about 15 minutes drive from Jerusalem. We presented our drivers’ licenses and took off driving the Tomcars to Nahal Og Canyon. Buckled up, we drove in the desert; the little car climbed the rigid area, challenging our driving skills. The steering wheel is difficult to turn (it isn’t a power wheel), and driving is interesting. We stopped on a point on the mountain ridge and walked to a cave. The cave is ancient, human-made water cave. The guide explained to us about the cave structure and history. The cave is located just below the mountain ridge and a damn was built in front of it – to lead the water to the cave and maximize the collection of water, a rare resource in this dry area. It has a support wall in the middle, and it is plastered – to retain the water. The cave was deeper and had a smaller opening, which collapsed over the years. This type of structure is Hasmonean, and it is dated from that period or a little later. There are many water caves around this area, as this was a busy road leading to Jerusalem. After the visit to the cave, we stopped for coffee and local Tahini cookies that Cnaan tours, the organizers, brought to us. Cnaan Tours offers many tours to the Judean desert. 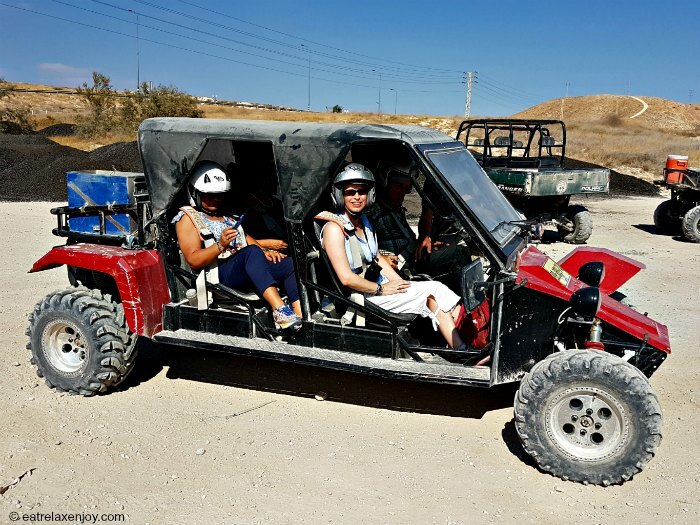 One of the tours is a two hour driving tour with an outlook of the northern dead sea and the Jordan river river, connecting to it from the north. 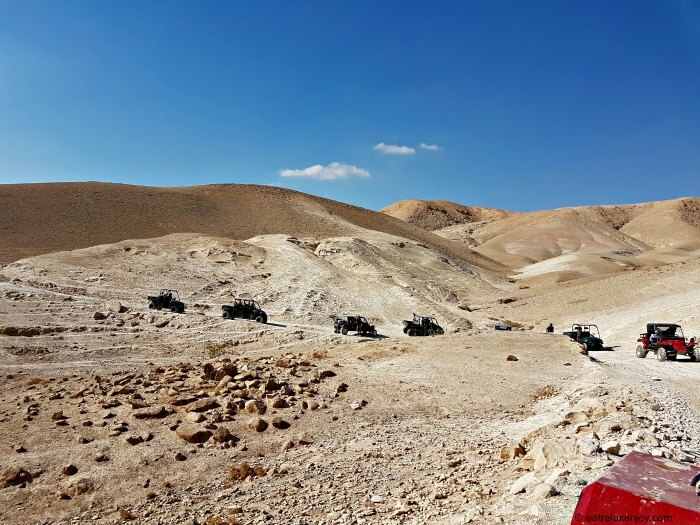 Cnaan tours offer 4×4 tours, self-driving tours, workshops and field events. After the Judean desert off road trip we went back to Ha’Cnaanit for a barbecue. 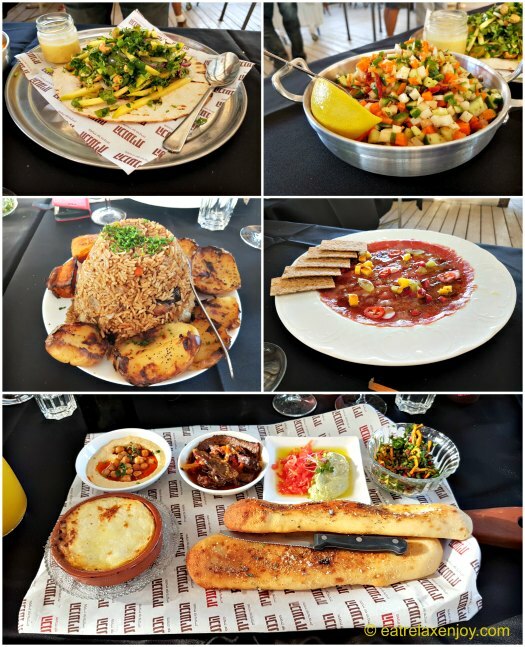 The restaurant is located alongside the fuel station of Kfar Adumim. Seating is outdoors but there are fans and coolers for the summer time. In the evening, it turns really pleasant, and you’ll need a jacket in the winter. 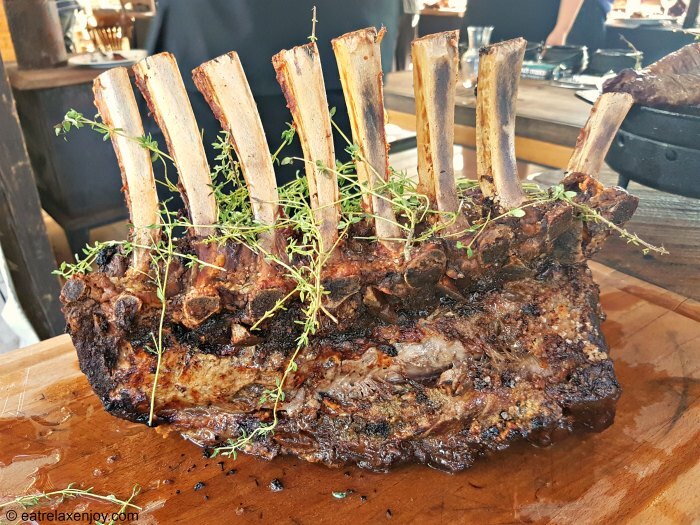 The restaurant is a Chef’s restaurant led by Chef Uri Narinsky who smokes the meats that are served together with Psagot wines. The starters served included Focaccia with dips, beef, and Shepherd’s pie. The Focaccia was fresh and soft – straight from a stone oven. In addition, we were served a number of interesting salads with root vegetables, mango, and a Carpaccio that melts in the mouth. I will only mention the sides, including different potatoes and rice with vegetables nicely served. This is because when I will get to the meat, the rest will be much less interesting. 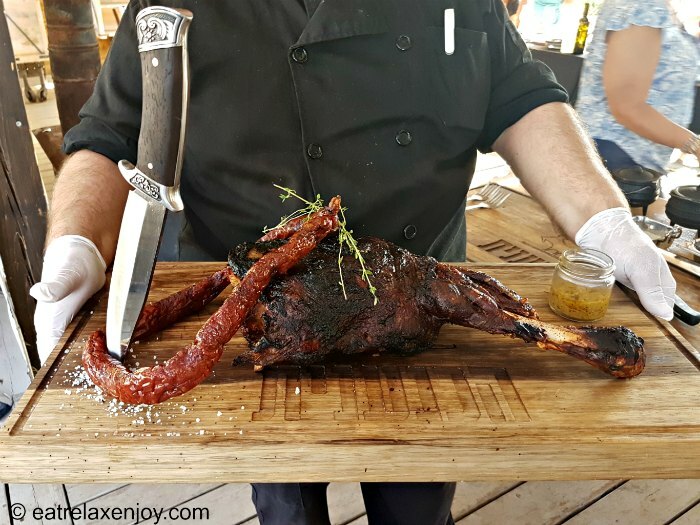 As already mentioned, Ha’Cnaanit specializes in meet and Chef Uri Narinsky smokes the meat for hours and the result is as good as expected. 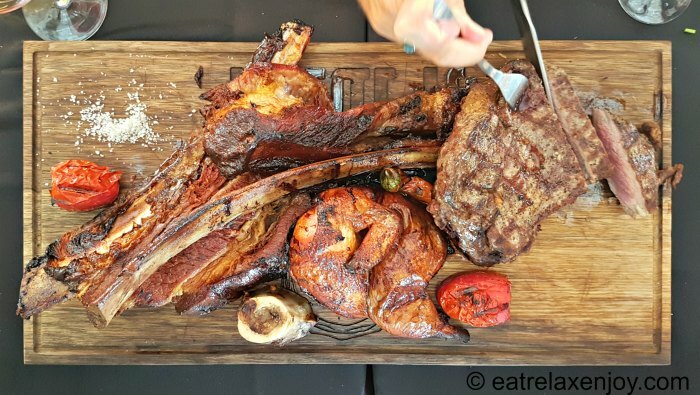 The big meat chunks are impressive and are beautifully served! 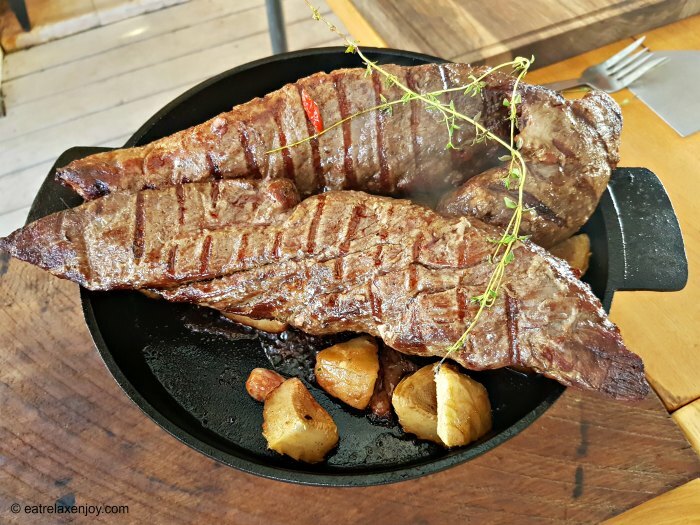 Instead of writing too much, I’ll just show the photos of the different types of courses served – Prime Rib, Lamb, Beef Filet in red wine sauce, Assado, and plenty of other types of meat, all well made and seasoned. I’ll let the photos speak for themselves. If you arrive with a group and have your own preferences, talk with the staff. The filet was made well-done and when I asked, I was offered to make it to order. The restaurant is kosher, therefore, the desserts were Parve (non dairy). We go a nice plate of fruits with Halva and ice-cream, and a tasty soufflé. When we gathered before we took off to the desert, we were served an excellent chocolate yeast cake. Ha’cnaanit is open for visitors, groups, and events up to 200 people, kosher.